I love my little city of Bend, Oregon. There are a lot of perks as an athlete and one of them is all of the professional athletes around town. 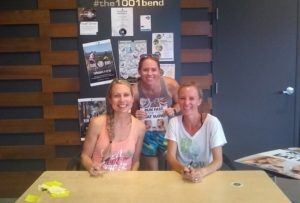 So, when a couple of great runners publish a cookbook, they start their book tour in my town! I was fortunate to attend the first Run Fast Cook Fast Eat Slow book signing and it was a blast! The event included a fun run, then talk with the authors, then book signing. I rode with a couple of friends and met up with others their. 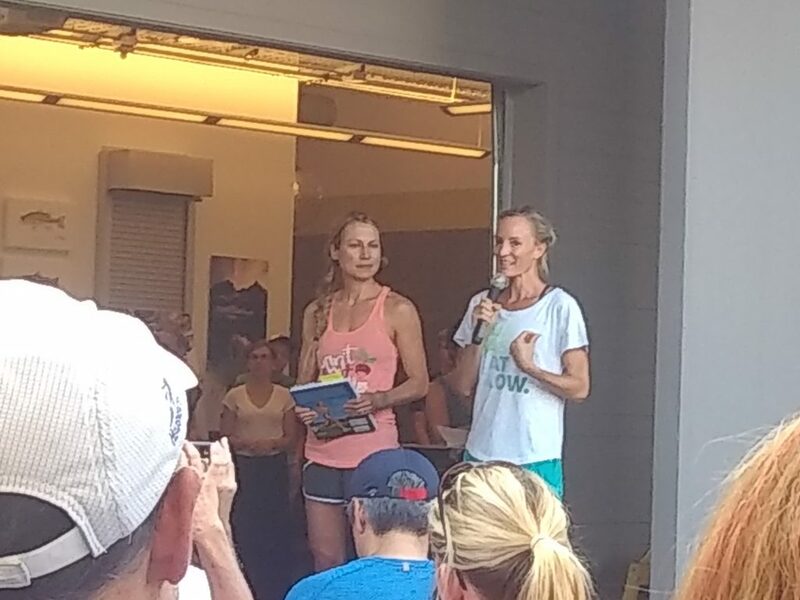 Besides getting to see and meet Elyse Kopecky and Shalane Flanagan was know about 10 other people there and getting to chat with everyone. 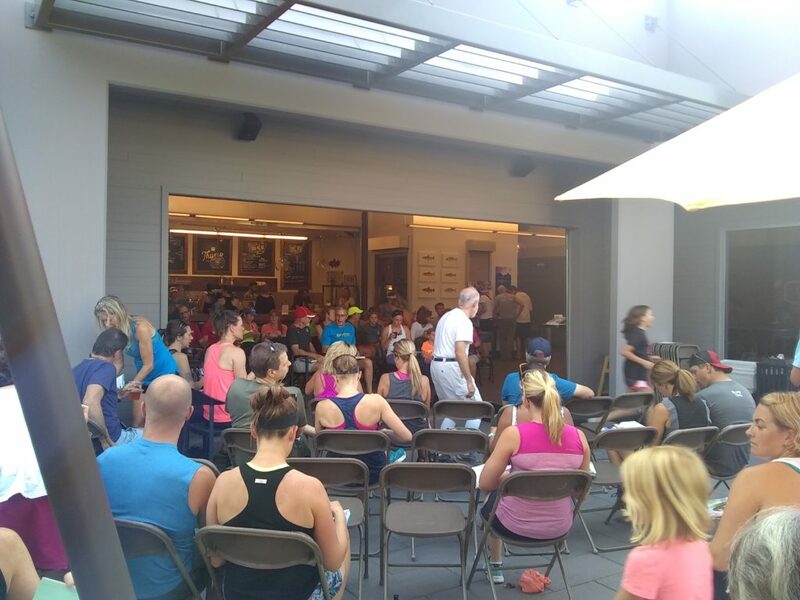 Then the run kicked off for 2.5 miles with 150 people. There was something different about running with so many people and it not being a race. We talked and enjoyed the summer evening. Coming back from the run Jesse Thomas and Lauren Fleshman were there to promote Picky Bars. Their son told me about his favorite flavor and Lauren talked about their oatmeal. I was able to leave with some Picky Oats and I love the Matcha flavor. 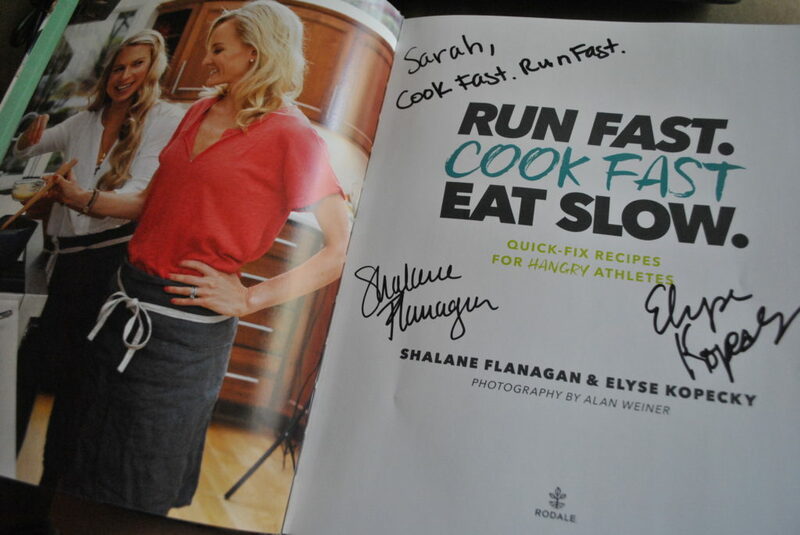 Shalane and Elyse shared about their nutrition stories, favorite recipes from the book, and answered some questions. I love that this is more than just a cookbook. Their is a nutritional purpose to the recipes. There are stories behind the recipes and reasons to make them (besides them being delicious). “The only numbers you should be counting are your running splits.” They discourage calorie counting. Eat real whole foods that are nourishing and listen to your body. “Satiating” Elyse said this word so many times. I went home and made the super hero muffins and I get it. 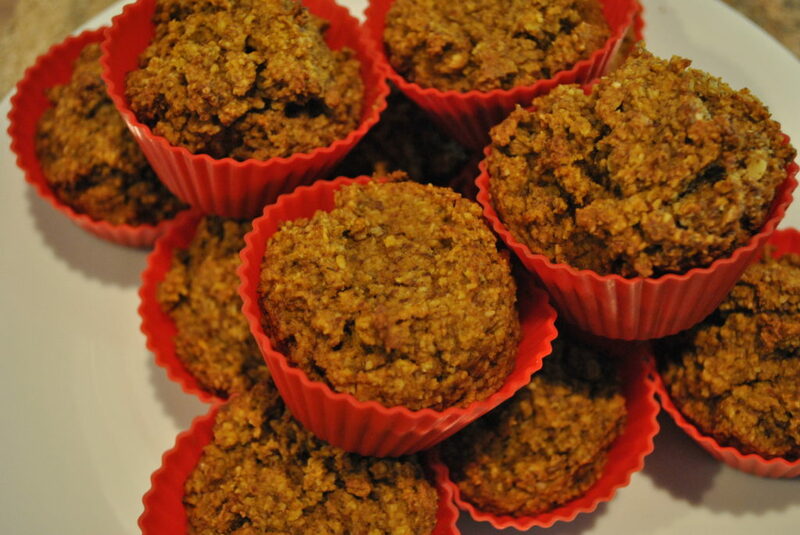 I can get so hungry during the day and when I started my morning with a couple of the muffins I was fine. Side note: I already had all of the ingredients for the superhero muffins in my cupboard. I did run out to the store to restock so I can make more when I run out though. I am looking forward to trying more recipes. Next on my list are the black bean burgers and purple cabbage slaw. I have the turkey trot meatballs cooling now and the yogurt pesto dip in the fridge. It all looks delicious and simple. At the end of the evening I was able to have my book signed. I wish I was cool, but I am not, so I just felt like a dork meeting a couple of people that I am super impressed by. They were great and it was fun to know I could be part of this kick off tour. They are moving on to the next place now. I am sure it will be a busy time for them.